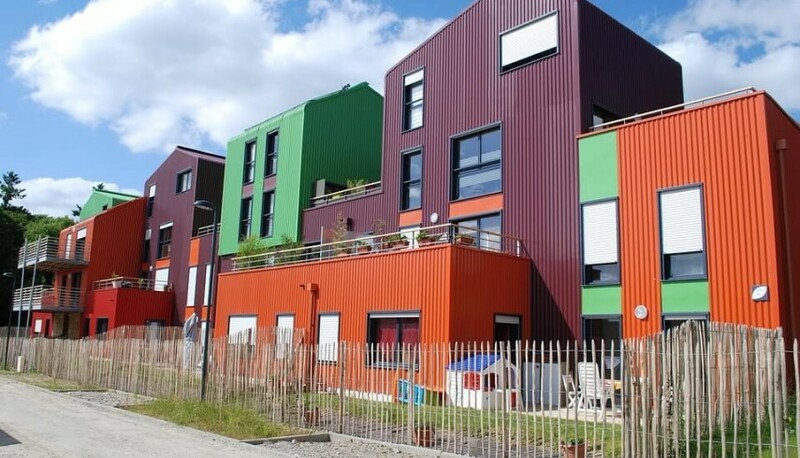 Social housing is being promoted across the world these days to accommodate the rising urban population. These projects, which provide affordable dwelling units to people, especially those with low income, are mostly implemented by the Union or state government. Mirador Housing Project is more than a block of flats. This project breaks the stereotype in the way it is designed and built. Designed by Dutch studio MVRDV in collaboration with architect Madrileña Lleó Blanca and built on a 23,000 sq m area with 21 floors and 165 apartments, the project's striking feature is its hollow space at level 12 of the building. This space is utilised to create a sky plaza where the residents can have community and other public activities. The project, part of a programme to upgrade the peripheral metropolitan affected by unregulated urban development, was completed in 2012. Designed by Slovenian architect studio OFIS, the project was conceptualised in 2005 and completed in 2007. There are 650 apartments in this social housing project; what catches one's eye is the tetris-like stacking of these apartments. The project is located facing a busy highway, so the opening and the balconies of the apartments were shifted to become 30-degree window-wings, making it quieter for dwellers. Each apartment in the building has a balcony with glazed windows that ensure privacy. 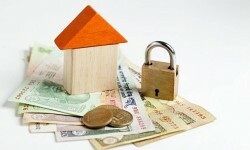 The building is made of cost-effective building products like granite tiles and oak flooring. 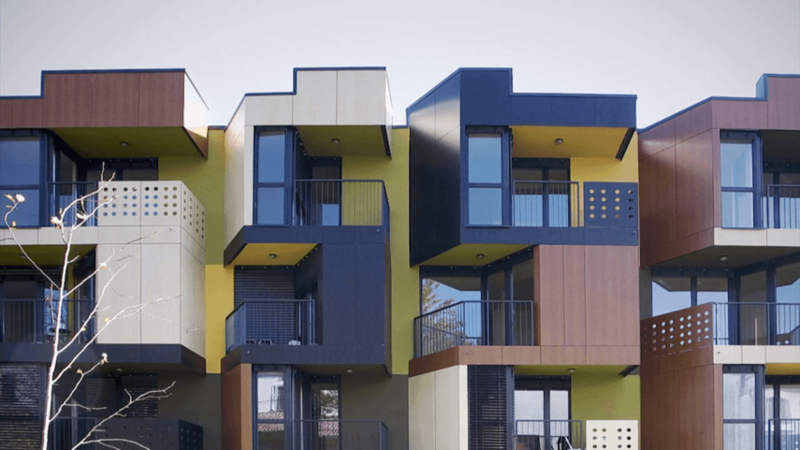 This social housing project was built for people looking for affordable housing options. The project, which houses 88 apartments, is designed with coloured cheerful façade. 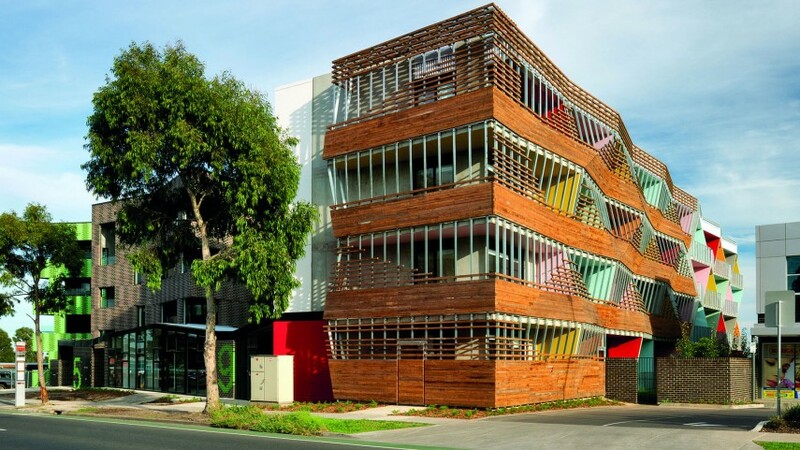 With a quirky uneven façade, the project, designed by Australian architect design house CH Architects, has installed sustainable systems like solar power heating and hot water system. All the 88 units are well ventilated. 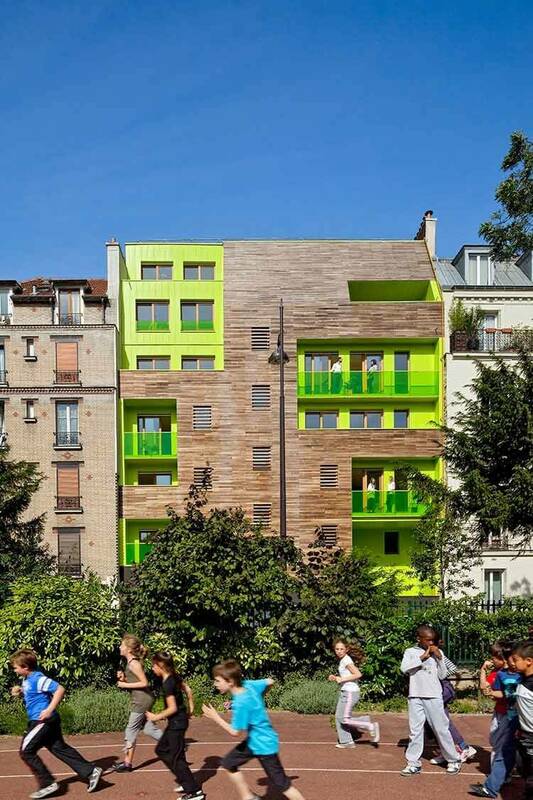 Walking down Paris' arrondissement de Reuilly area, a building with a timber façade and green paint will surely catch your attention. The project, designed by French architecture and design agency KOZ Architects, was conceptualised to give affordable housing with environment-friendly building material. 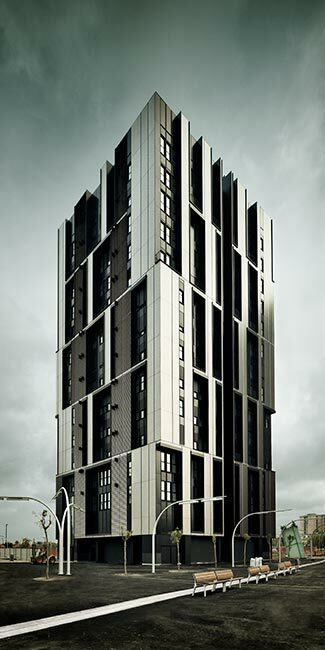 The building boasts ash timber façade, known to be durable and cost-effective. The façade ensures ample natural light enters the building and the interiors are well insulated. The project, completed in 2011, also has solar panels installed to provide the required power to the apartments here. This 75-apartment tower is built in Barcelona, the second-most populous city of Spain. It is part of a mixed-use development comprising 26 buildings. 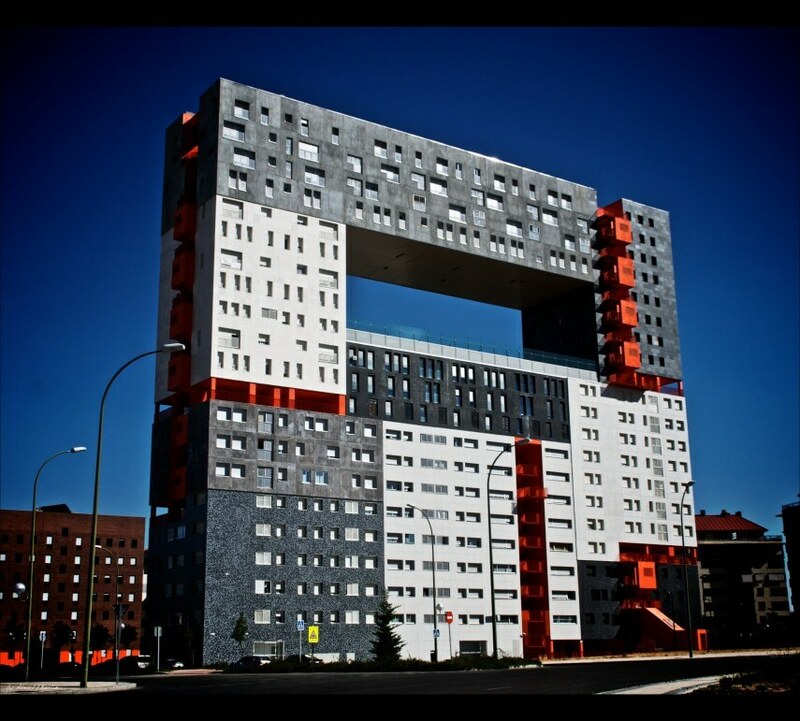 The project, designed by Spanish architecture agency Roldán + Berengué, has an interesting façade which is coloured black and grey. Built using recycled and 100 per cent recyclable products, the project has a futuristic design that gives it a three-dimensional look.